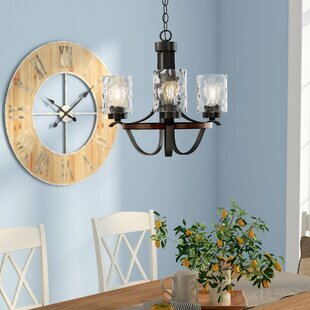 Whether welcoming guests with a warm glow in the entryway or shining over your dining room table, this chandelier is staple lighting for any modern farmhouse-inspired abode. 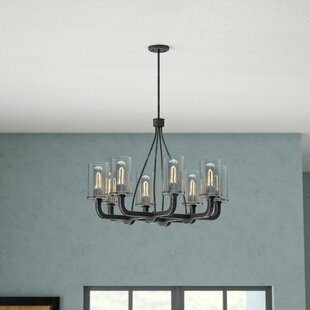 Crafted from metal, its frame showcases an openwork design finished in neutral tones of black and brown. 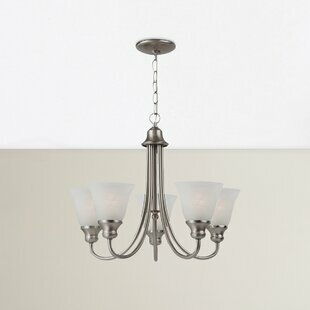 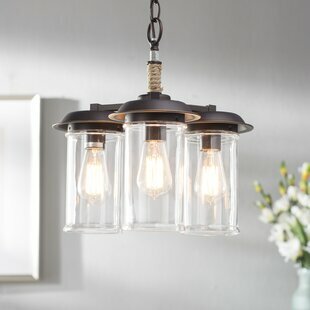 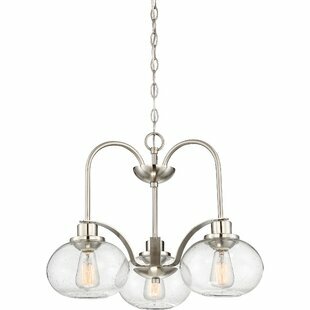 Its three lights are highlighted by textured glass shades, so they are slightly exposed for a nod to industrial style. 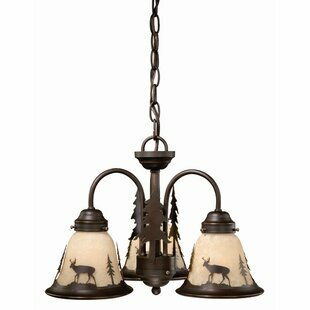 Assembly and installation are required for this luminary. 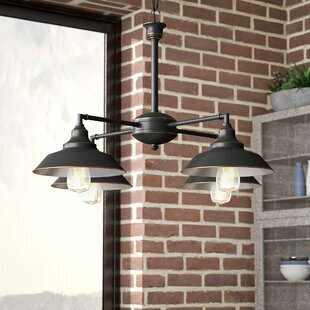 The manufacturer for this product provides... 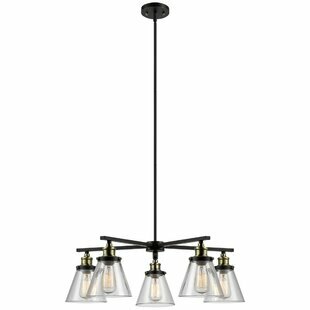 Number of Lights: 3 Fixture Design: Shaded Chandelier Overall Height (Hanging): 18.5 Fixture: 18.5 H x 19 W x 19 D Overall Weight: 6.99lb.